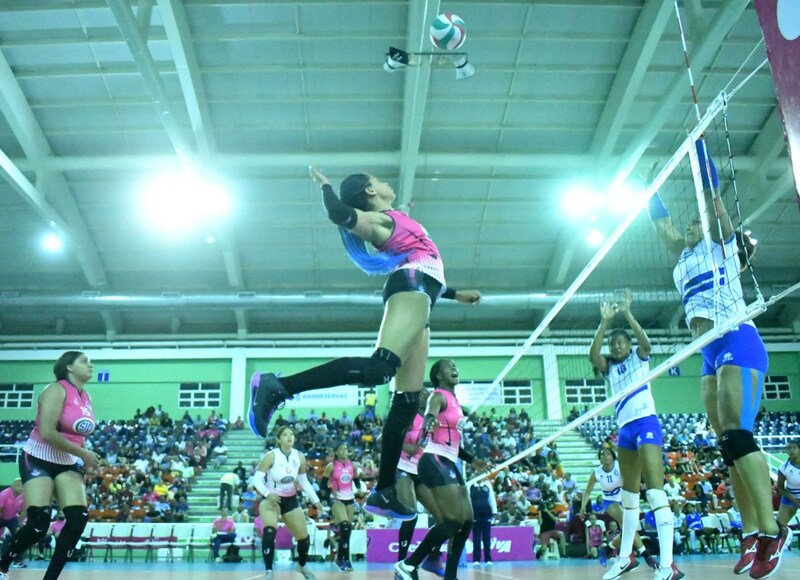 SANTO DOMINGO, Dominican Republic, March 16, 2019 – Cristo Rey extended its winning streak to five victories after defeating the winless Guerreras in a thrilling five-set duel 3-2 (20-25, 25-23 25-20, 25-27, 15-7) as the Dominican Women’s League continued on Friday night. Gina Mambrú, Madeline Guillén and Marifranchi Rodríguez led the winning attack with 25, 18 and 15 points, respectively. Mambrú had four aces while Rodríguez contributed five blocks. Priscila Rivera had 28 points for the losers while Jeoselyna Rodríguez and Dahiana Burgos added 14 and 13. In the other match of Friday, Mirador defeated Caribeñas 3-1 (25-14, 26-24, 18-25, 30-28) behind 37 points from Bethania de la Cruz and 18 from Natalia Martínez. Erasma Moreno and Lisvel Eve finished with 28 and 19, respectively, for the losers. Cristo Rey 5-1 (22 points), Mirador 4-2 (17), Caribeñas 3-3 (15) and Guerreras 0-6 (6).